The leadership of the All Progressives Congress (APC) in Lagos has resolved the impeachment crisis in the state following the uproar that greeted the move by the Lagos House of Assembly against Governor Akinwunmi Ambode fewweeks ago. 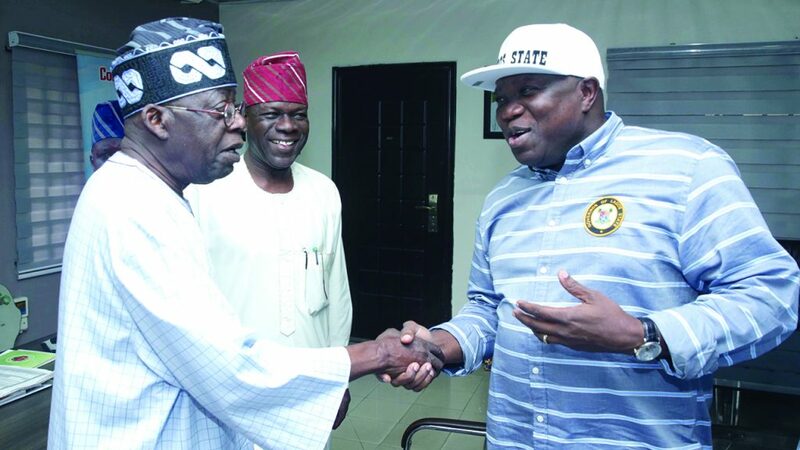 National Leader of the party and former governor of the state, Bola Tinubu who disclosed this late Sunday said there will be no impeachment, explaining that the APC leaders examined the grievances on both sides and resolved there has to be a compromise. As contained in the statement he released and shared in a series of tweets via his handle, Tinubu thanked the Speaker and the leadership of the House, as well as the Governor and his Deputy Governor, for what he described as a demonstration of respect for the party leadership in Lagos. “We held a meeting on behalf of entire Lagosians. In the last one week or so, there has been some talk about a conflict between the Executive and the Legislature in Lagos.This is of great concern to us. We looked at the source of the conflict, which is normal in a democracy, and that is why there are also conflict-resolution mechanisms. We examined the grievances on both sides. As leaders, we also looked into areas where there has to be compromise. In order to build institutions and encourage consensus-building, we have to do what is right. There is no impeachment. Let there be more communication and consensus-building and understanding. All these are inbuilt in the democratic system.